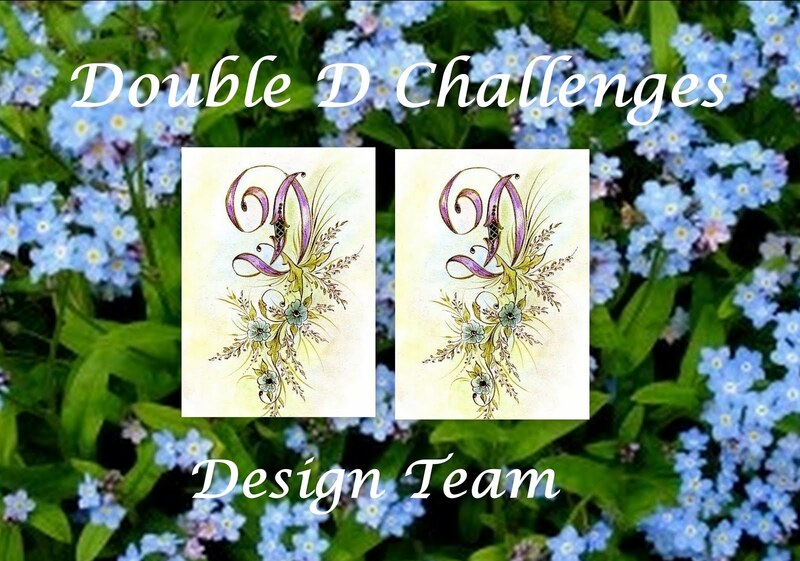 Yes, it is April and the first challenge for Double D is Twine. Check out the mood board for this one. All you need to do is use some twine on your card. Hemp cord or jewelry cord will work as well. I have a perfect stamp set from Gina K Designs for this challenge, but it is not with me here in Florida.... so this was a challenge for me. Here is my example for you. I think that you can see the twine wrapped around the pattern paper. I went overboard on this card as I did the inside and envelope as well. Some of the flowers are stamped on the front and some are fussy cut and put onto the pattern paper. Here is the prize that you could win. 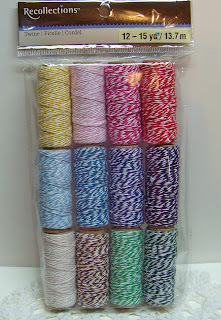 I think it is a lifetime supply of twine! Just another view of both the front and inside. I used a stamp from Altenew called Adore You. The flowers are amazing and fun to color. I used my Spectrum Noir markers for that. The pattern paper is MFT Plaid Patterns 6X6. 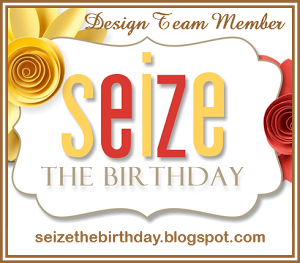 The card stock is Ivory from Gina K Designs. 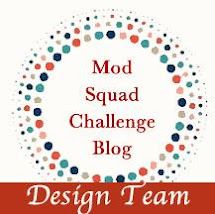 Don't forget to see what the rest of our design team has done for your inspiration on this TWINE Challenge. This is GORGEOUS! I love your beautiful flowers, outside, inside and on your pretty envelope! I also love the way you used your twine, inter-"twining" it through those beautiful flowers! Wow!! A gorgeous card inside and out and even the matching envie!! 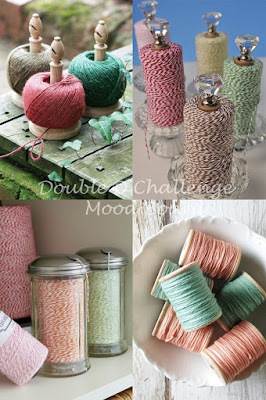 Beautifully colored, I love this stamp set, I think it is on my 'want/wish' list (I have a big list..lol)...the twine is the perfect addition!! This is gorgeous! I love the plaid paper and those flowers are beautiful. Love them on the outside of your card, inside and on the envelope. OMG this is just awesome! LOVE how you finished the inside and matched the envelope! SO CLEVER and just beautiful! Great use of your twine under the popped up flower ... PERFECT! Fabulous design. The beautiful plaid goes well with your beautifully colored flowers. I love that you did the inside and the envelope too. Wow! This card is so gorgeous inside and out. I love the color of the flowers and it goes so well with that plaid pattern paper. So cool you tied the envelope into the design too. Barbara, this card is stunning! Beautiful stamps, coloring and design! I love it! I think this is so pretty! Especially adding the twine through your gorgeously colored florals. Love the bright gingham and how you went above and beyond an added additions of both envelope and inside as well. This is going to be a very special treat for someone to receive! Beautiful card Barbara. Love the pretty flowers and pretty paper. The twine is a great accent. This is just spectacular. Your colors just make those flowers pop - I can really see that you have learned coloring from the class you took. Your coloring was great before, but now it's just genius!!! And the plaid is perfect, gives the look a touch of whimsy. Aren't you the clever one to continue the design on the inside and the envelope. Whoever gets this beauty is going to be blown away!!!! This is absolutely gorgeous Barbara! I love those flowers with the pretty paper and twine. I retired from a nursing career. So, I now have time to pursue the paper crafting that I love so much. I have an amazing husband and life is good. We have 5 children and 7 grandkids between us. We love to travel and spend time with family.